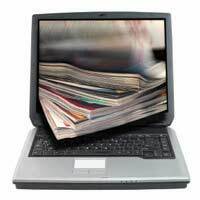 ePublishing – or Electronic Publishing – is a more recent way in which books, short stories, collections and works of non-fiction can be distributed via the Internet and computers in general. The basic premise of ePublishing is that the work in question can be sent electronically via email or electronic download or distributed on a compact disc in the same way you would distribute music. The aforementioned are the main advantages for the use of ePublishing but there are others. Many individuals now publish their own work using ePublishing which allows them to have as many or as few copies manufactured as they want. Also because there are fewer overheads involved in the process the writer can make more money from royalties than they might have done previously. Also for those who wish to publish their own work they can do so at a fraction of the cost it might have cost them five or ten years ago. With ePublishing your novel, thesis, whatever it happens to be, can be as long or as short as you like. With ePublishing most documents are sent across the Internet electronically as PDF or compatible word processing documents. As these documents are traditionally small – unless laden with hefty artwork and pictures – the documents can be less than a megabyte so editing your work down need not be an issue. Again this is something that many writers find they want to do with the manuscript after it has gone to the publishers and sometimes by the time they decide a change is necessary the manuscript is being printed up. At this stage in the process it is difficult not to mention costly to make changes or corrections to your manuscript so a publisher will invariably say no unless the changes are fundamental to the outcome of the work. With ePublishing however it is simply a case of making the relevant changes to your document on your computer and then uploading the revised document to the site of the publisher who is ePublishing your work. This is a process that can be done in moments as opposed to months with hardly any cost incurred at all. Let’s say you took a series of photographs at a family member’s wedding and wanted to publish them as a compact disc. You can – using one of the many sites now operating on the Internet – do this and allow friends and family members to download them using a special promotional code. This is free to those individuals who have the code but you should be aware that the company concerned will charge you for the privilege as well as for any compact discs used. However all in all this is much cheaper than publishing the photographs through other means. All in all ePublishing has revolutionised how publishing works these days and has also opened up avenues for would-be writers to see their work in print. It also allows for many writers who would normally have their work go unseen to target their efforts towards a larger, almost global audience.